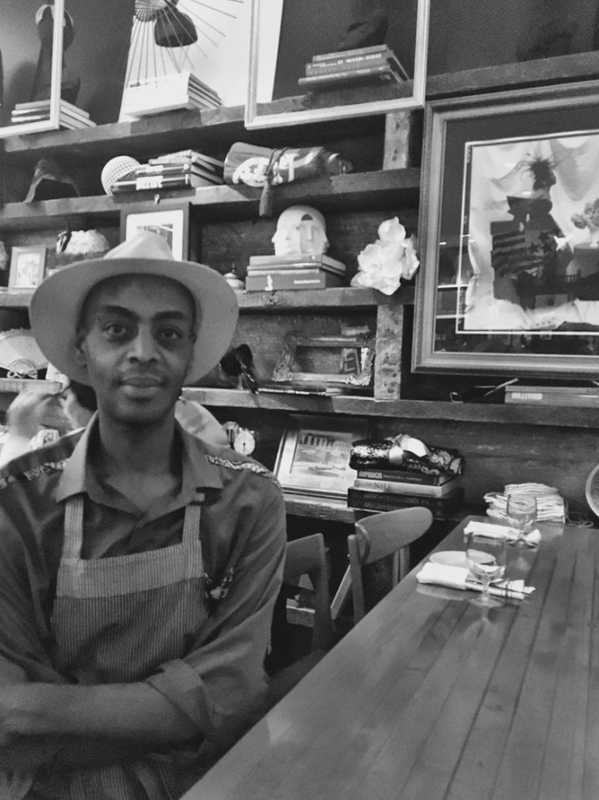 "I moved to the U.S. 13 years ago from Ethiopia and have been living in NYC for the last 6. I was introduced to the Red Rooster when I started working for one of Marcus' restaurants, Uptown Brasserie, at the JFK Airport. I later transferred to the Rooster and have been here for nearly 3 years now. Seeing and being part of the endeavors of an Ethiopian-Swedish chef in Harlem makes me proud. Red Rooster Harlem embodies what a modern urban life stands for; a place where residents and visitors alike work, live and play around urban amenities. The promotion of art, community, food and culture is the founding mission of our Rooster. To many of our guests, Red Rooster is an institution in itself. It is a restaurant where food is served but it is also an art gallery, a music arena and a museum. When visitors come to NYC and go uptown to Harlem, one of their destinations is the Red Rooster. Personally, being part of an institution that pays homage to Harlem and its past, present and future is a marvelous experience. One of the most rewarding and exciting experiences is when I am serving a young Ethiopian kid adopted by an American or European family that traveled thousands of miles to show their kid, no matter the circumstances, he or she is capable of achieving greatness in life. I have served a lot of these families. Seeing how the kids and parents get excited about Marcus and his achievements as an adopted Ethiopian child makes me happy. I vividly remember a white lesbian couple from San Francisco who adopted an Ethiopian girl a few years back. Her schoolmates had been calling her charged names. Her parents brought her to the Rooster to show her what she is capable of attaining. Those are the things that really make me happy and excited about the Rooster."